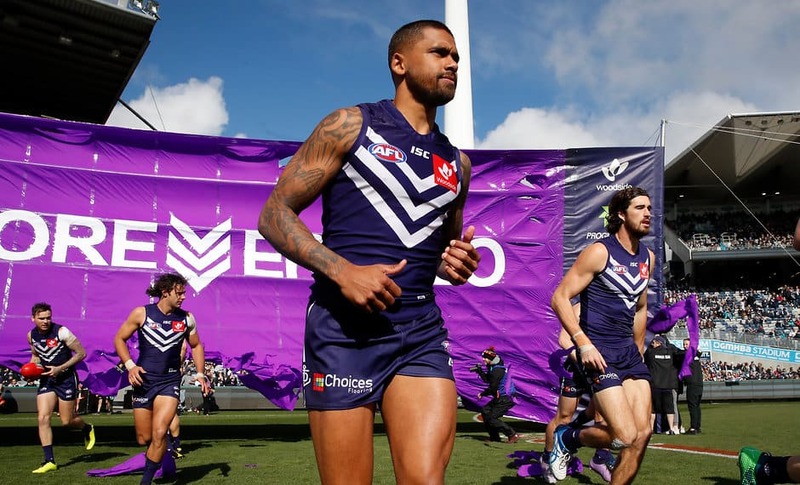 Bradley Hill has emphatically rejected reports that he is seeking to move from Freo. Fremantle midfielder Bradley Hill has emphatically rejected reports that he is seeking to move from the club, with the 25-year-old reiterating his commitment to Freo. The 2017 Doig Medallist admitted he had a laugh about reports that have surfaced in recent weeks. “I haven’t spoken to anyone about it (asking for a move from Fremantle),” Hill said. “I’m really enjoying my footy here and being back home with my family and friends, it’s something I’m enjoying. Hill, who is contracted at Fremantle until at least the end of the 2021 season, said his commitment to live in Perth went beyond his desire to play for Freo. This includes working closely with partner Samantha, who will play a lead role in his business venture. “I’ve still got three years left on my contract so I’m not thinking about going anywhere,” Hill said. “There’s no truth whatsoever (to the reports). I’m happy here. I’ve moved back home to where I’m from and I’ve just finished building a house. Hill said one of his main motivations for staying at Fremantle was to continue playing at the same club as brother, Stephen. “It’s been a dream to play footy alongside my brother,” Hill said. Hill was one of Fremantle’s best on ground in their final game of the season against Collingwood on Saturday at Optus Stadium. The performance was Hill’s best during an injury-interrupted season, racking up 35 disposals and 10 inside 50s. “Just to finish off on a good note and play some good footy, it gives me something to work towards next year,” Hill said. “It was obviously disappointing to miss so much footy but once I got back, I wanted to come back and play some good footy straight away. Hill said it was good to help give retiring teammate Michael Johnson a fitting farewell in his 244th and final AFL game. “It’s disappointing we couldn’t get over the line for him but ‘Johnno’ will be happy about the way we played and the effort we gave to try and get over the line for him. “It’s been awesome playing alongside him. He’s been a terrific player for the footy club for what’s been 14 years.